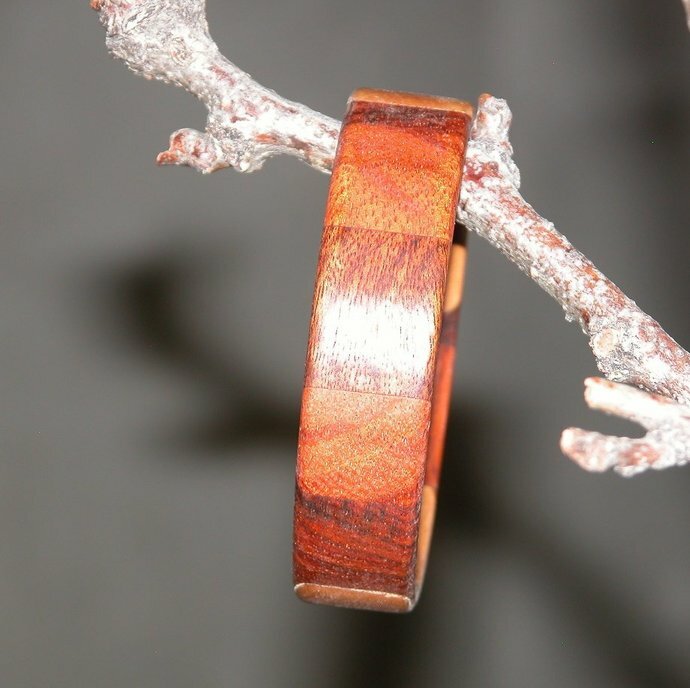 This bracelet is made from multiple hardwoods, including Chechen, cherry and maple. The bracelet is about 5/8 inch across (the width you'll see when you're wearing it). We call it a Medium size. It is about 2 1/2 inches in inside diameter. You can put a string around the thickest part of your hand (when held in the position you'd use to put the bracelet on), and mark that string's length to measure it. 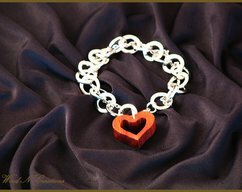 If that length is no longer than about 8 inches, this bracelet is for you! 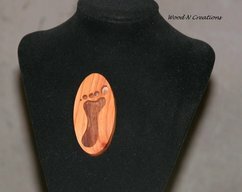 The wood has been sanded smooth and then finished with hand-rubbed mineral oil and beeswax to bring out a soft luster. Nice rich colors and smooth and comfortable to wear! 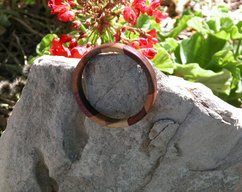 Customer says "comfy & easy to wear bangle." 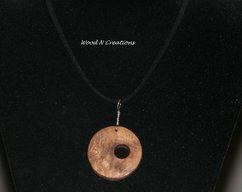 Thanks for your support of handmade items, and thanks for stopping in to see our shop!